Ford Econoline. Engine Air Cleaner Clamp. Ford Expedition. Ford Super Duty. Ford F-150. Ford Excursion. We have more than 15 years of OEM parts experience. Condition New. Trending at $17.13eBay determines this price through a machine learned model of the product's sale prices within the last 90 days. Air Cleaner Outlet Duct. Air Cleaner Outlet Duct (w/ resonator). Pontiac G5. Chevrolet Cobalt. We have more than 15 years of OEM parts experience. Notes If you are unsure if this is correct for your vehicle. Rear Intake Air Duct. Pontiac Bonneville w/ 3.8L Engine. Buick Park Avenue w/ 3.8L Engine. Buick Lesabre w/ 3.8L Engine. We have more than 15 years of OEM parts experience. 1996 - 1999. Color Black. 1996 -2005. Trending at $43.73eBay determines this price through a machine learned model of the product's sale prices within the last 90 days. Part Number: 1TD 129 622. Pulled from: 2015 VW Jetta S. Part: Air Filter. Part Number: 5C0 129 620. Pulled from: 2014 VW Passat SE. Part: Air Filter Cover. 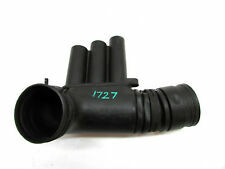 Porsche 911 2.0 early green engine shroud. Air Cleaner Housing. Air Cleaner Assembly. Ford Focus 2.0L non turbo. Notes If you are unsure if this is correct for your vehicle. Part Number. Part Number: 08694606. Pulled from: 2006 Volvo S40. Part: Air Box Intake Cleaner Filter. Donor Vehicle: 2007 B7 Audi A4 2.0T FSI FWD 6 Speed Manual (81K Miles). We are human and may make mistakes, if that does happen we appreciate your patience and understanding while we do our best to correct the problem. Donor Vehicle: 2018 Honda FK8 Civic Type R 2.0L Turbo 6 Speed Manual (<1K Miles). We are human and may make mistakes, if that does happen we appreciate your patience and understanding while we do our best to correct the problem. Donor Vehicle: 2010 Volkswagen Jetta 2.0T TSI DSG Automatic (64K Miles). We are human and may make mistakes, if that does happen we appreciate your patience and understanding while we do our best to correct the problem. Part Number: 31274839. Pulled from: 2010 Volvo XC70. Part: Air Box Intake Cleaner Filter. 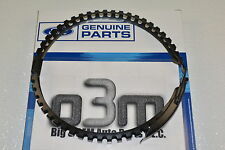 Part Number: 1KO 129 607 B. Pulled from: 2007 VW Passat 3.6L. Part: Air Box Intake w/o cold climate. No personal Checks. Part Number: 04E 129 651 C. Pulled from: 2016 VW Jetta. Pulled from: 2006 BMW 325xi. Match with the part number provided. Part: Air Filter Cover Housing Panel Box. No personal Checks. 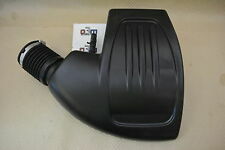 Up for sale is a Land Rover Range Rover secondary air pump. It will fit 1999 up to 2002 Range Rover and Discovery II. It was last tested to work. 2006-2007 BMW 525. Part Number: 7 521 031. 2006-2007 BMW 530. Part: Air Cleaner Filter Housing. Pulled From: 2007 BMW 525XI. Pulled from: 2007 BMW 328i. Match with the part number provided. Part: AIR FILTER HOUSING TRAY. No personal Checks. DONOR VEHICLE - 2009 BMW 328 Xi 2009 VIN: WBAPK535X9A514424. The warranty does not cover failure due to misuse, improper repairs or maintenance, installation, alteration or modifications. proof/receipt of work is required! Pulled from: 1999 Audi A8. Part: Air Box Intake. Donor Vehicle: 2006 Volkswagen Jetta 1.9T TDI Automatic (171K Miles). We are human and may make mistakes, if that does happen we appreciate your patience and understanding while we do our best to correct the problem. Part Number: 7 533 067. Pulled from: 2011 BMW 328xi. Match with the part number provided. Part: Oil Filter Housing. No personal Checks. Part Number: JK20F. 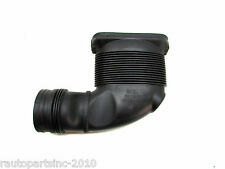 Part: Air Box Intake Cleaner Resonator. Pulled from: 2009 Infiniti G37 Sedan. Match with the part number provided. No personal Checks. Part: Air Box Intake Cleaner Filter. Pulled from: 2007 Jaguar X-Type. Donor Vehicle: 2007 Subaru Legacy GT Spec-B 2.5L AWD 6 Speed Manual Transmission (148K Miles). We are human and may make mistakes, if that does happen we appreciate your patience and understanding while we do our best to correct the problem. Pulled from: 2013 TOYOTA TACOMA. Part: Air Box Intake. No personal Checks. Part Number: 1 713 838. Pulled from: 2000 BMW 323i. Match with the part number provided. Part: Oil Filter Housing. Part Number: 6950936. Pulled from: 2006 BMW 525XI. Match with the part number provided. Part: FRONT RIGHT AIR FILTER HOUSING BOX. No personal Checks. Pulled from: 2002 Audi A6 3.0. Part: Air Cleaner Box. Pulled from: 2007 BMW 525I. Match with the part number provided. Part: PASSENGER CABIN AIR FILTER HOUSING COVER. Part Number: 12791053. Part: Thermostat Housing. Pulled from: 2006 Saab 93 Base. Match with the part number provided. No personal Checks. Part Number: 7L6 129 601. Pulled from: 2005 VW Touareg. Part: Air Box Intake Right Side. Defect Details: Air box was repaired as shown in the first picture. Pulled from: 2006 Lexus RX400H. Match with the part number provided. Part: Air Intake Box. Part Number: 8649673. Pulled from: 2008 Volvo S60. Part: Air Box Intake Cleaner Filter. Donor Vehicle: 2016 Subaru Impreza WRX STI 2.5L AWD 6 Speed Manual (5K Miles). We are human and may make mistakes, if that does happen we appreciate your patience and understanding while we do our best to correct the problem. Pulled from: 2003 VW Jetta W8. Part: Oil Filter Housing. No personal Checks. 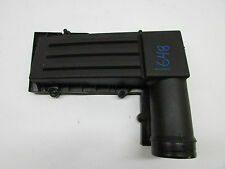 Part Number: 4E0 819 647 C. Pulled from: 2005 Audi A8. Match with the part number provided. Part: Air Filter Cover ONLY. No personal Checks. For sale is a used green color engine shroud that was removed from a 1974 Porsche 911 S engine. This may also work on other year 911’s. Part Number: 06E 115 405 A. Pulled from: 2006 Audi A6. 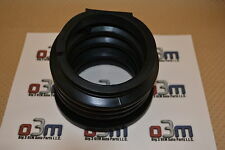 Part: Engine Oil Filter Housing. Part: Air Tube Pipe Box Intake Resonator. Pulled from: 2007 BMW 328i. Part Number: 657 790 2. Donor Vehicle: 2001 Volkswagen Golf 1.9T TDI ALH 5 Speed Manual (186K Miles). We are human and may make mistakes, if that does happen we appreciate your patience and understanding while we do our best to correct the problem. Part Number: 1K0 129 684 L. Pulled from: 2011 VW CC.